As we all know, Chinese glass industry has nearly a history of 100 years since the evolution from the establishment of the first glass factory-Qinhuangdao Yaohua Glass Factory to the current “China Age”. Chinese glass industry has been demonstrating the rise of a powerful glass country in the past 96 years. Under the background of economy globalization, accompanied by “one belt & road”, “internet +”,smart manufacturing, and “China Brand Day”, China glass industry is now also witnessing a boom period of restructure and production chain transformation as well as leading technology and management & quality control ideology. On December 18th, 2017, China Glass Network launched the 5th Top 10 China Glass Brand Appraisal. Until now, the "Golden Glass Award," the Oscar of glass industry has been set fourth times. 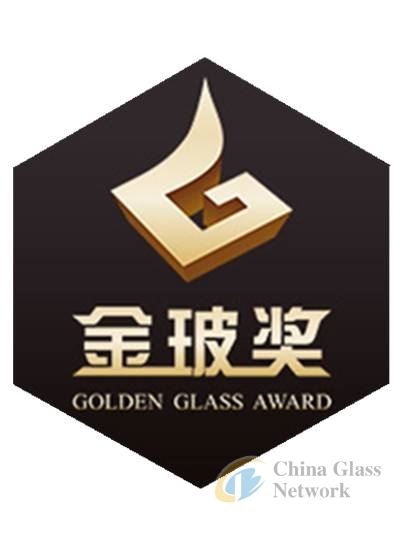 As for the 5th appraisal, all the evaluation processes of the total 15 awards intended to enterprise, product and personal contributions will be checked and appraised by professional experts and experienced technicians from glass industry, based on the principle of opening, justice, equality and charity. Hot news about the 5th appraisal! The 5th Top 10 China Glass Brand Appraisal is selected in terms of enterprises, products and individual contribution. The new set product award can better improve the ideology, unique publicity, market realization of a company. Top 10 Brands respectively for sheet glass, building glass, decoration glass, glass products, glass machinery/machines, appliance glass, glass chemical accessories/materials, glass tools, comprehensive ability and innovation. All the evaluation processes will be checked and appraised by professional experts and experienced technicians from glass industry, based on the principle of opening, justice, equality and professionalization. l Recommended to the support unit of this appraisal. cooperated by Guangdong Glass Association, Zhejiang Glass Association, China Association for Silk Printing, China Development Alliance for Function and Art Glass Industry, China Chamber for Glass Circulation, Management Committee of Hebei Development Zone for Economy and Technology, Hangzhou City Promotion Association for E-commerce, as well as Glass Magazine , Windows Magazine, China Curtain wall Network, Buildings.com, Aluminum.com, China Architectural Decoration Network, Buildings Windows & Doors and Facades, World of Windows, Windows Exhibits City, China Auto Materials Network, China Facades Network, News Alliance for China Enterprises, Asian Financial News, Sina Housing, SoFun.com, Tencent Asian Housing Network etc. Glass Magazine , Windows Magazine, China Curtain wall Network, Buildings.com, Aluminum.com, China Architectural Decoration Network, Buildings Windows & Doors and Facades, World of Windows, Windows Exhibits City, China Auto Materials Network, China Facades Network, News Alliance for China Enterprises, Asian Financial News, Sina Housing, SoFun.com, Tencent Asian Housing Network etc. Indian Glass Bulletin, Spanish Vidrioperfil, German GlassGlobal, Italian Glassonline, Indian GHA INFO. etc.